Camera: 600TVL, 120-degree wide angle, CMOS PAL. You know you want a brushless micro FPV wing for under $100, then the Oversky Atlas 450 is where its at. This micro FPV wing can fly for up to 20 minutes on a single 2S 600mAH lipo. 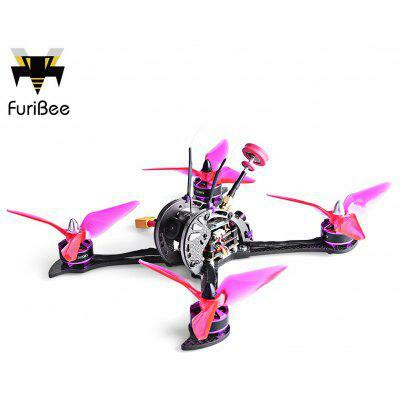 It comes with everything but a battery and that includes the power system and onboard FPV components. The wingspan is only 17.7″ and the Atlas weighs in at around 67g with a battery. The Atlas 450 electronics consist of an 1103 6400kv brushless motor, 3A ESC, and 2 servos. The camera is a 600TVL 120-degree FOV CMOS version. A highlight of this wing is the video transmitter, which is 25/150mw selectable 40 channel 5.8Ghz. The main board is an all in one unit that controls everything and also features a flight stabilization system.